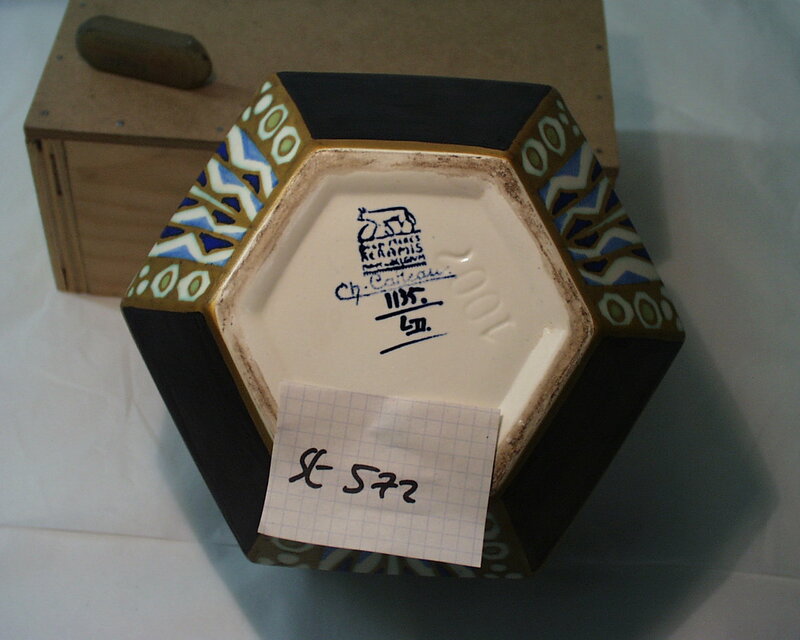 The rim and all the angles of the pot are finished with ochre slip. On the outside, three plain black sides alternate with three sides decorated with a central angular geometric zigzag motif in a vertical arrangement, narrowing down towards the foot, and bordered with stylised flowers. 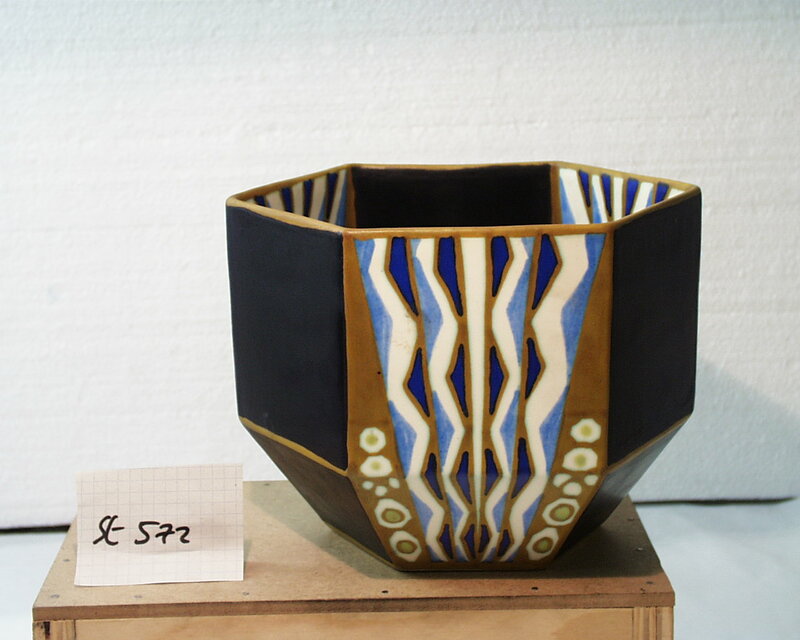 On the inside, the same pattern is repeated on the top facets, but in staggered fashion; the bottom is plain black, finished with ochre slip. Slip-cast form. Chromolithographed decoration (matt azure, cobalt, greenish and black enamel) on a white ground, finished with ochre slip. Also decorated on the inside.